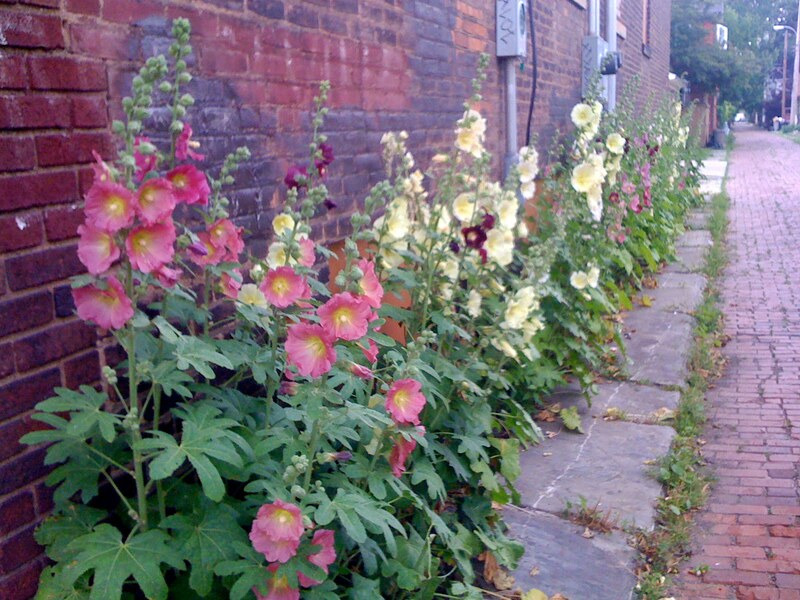 The great alley ways behind the homes and the gorgeous gardens that line their paths. 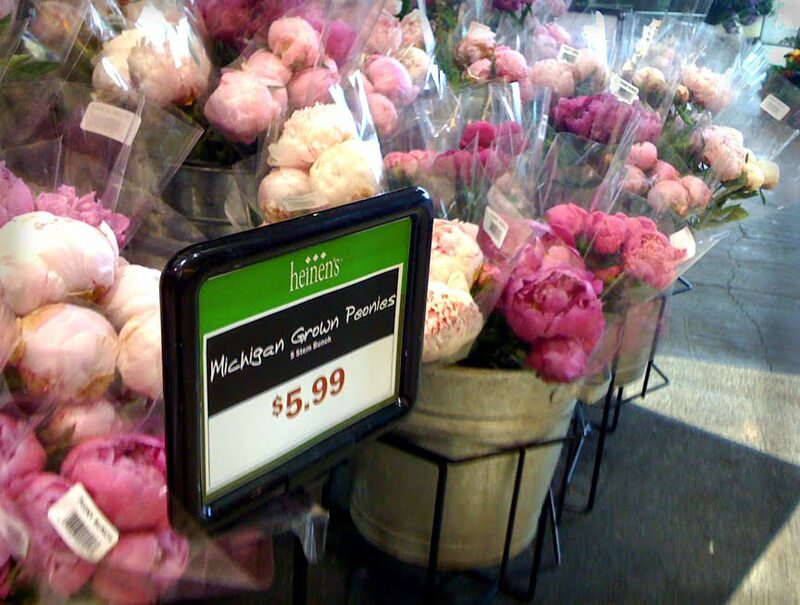 The most perfect, pink peonies have invaded your local Heinen’s. They are GORGEOUS!!! Even though they are grown in Michigan the $5.99 price per bunch is enough to smooth out all sports rivalries. I may have to scoop up a few for my desk this week! Enjoy. Stop by “anthro” at Eaton at lunch and learn from the pros how to make your garden grow! Happy Earth Day. Happy fabulous lunch break. Happy perhaps pick up something from the sale room! Want to know what I am “glad” for today? The 2 bunches for $5 of white Gladiolas I picked up at Heinen’s this morning. What a summer steal. The flower trucks delivered the colorful assortment of pink, purple, salmon and lemon lime “glads” to all area stores last night, so slip away on your lunch break and get some.